Pummeled by an unprecedented number of political upheavals and disasters, Nepal has been doughtily struggling to rise from the ruins. Notwithstanding this fact, the anthropology discipline has 'come of age' in Nepal due to the history of its teaching for more than three decades at the Tribhuvan University and research tradition maintained by native anthropologists for more than six decades despite its institutional infancy of less a year with the establishment of independent Central Department of Anthropology (CDA) at the University Campus, Kirtipur under it-an important academic event in the history of its institutional teaching triggered by the collective academic and professional contributions of Nepali anthropologists for the creation of objective conditions needed for its independent evolution. The current proceedings entitled "Nepali Anthropology: New Direction and Contributions" is, indeed, the genuine reflection of the contemporary works of Nepali anthropologists in the 'teaching', 'research' and 'applied' domains. 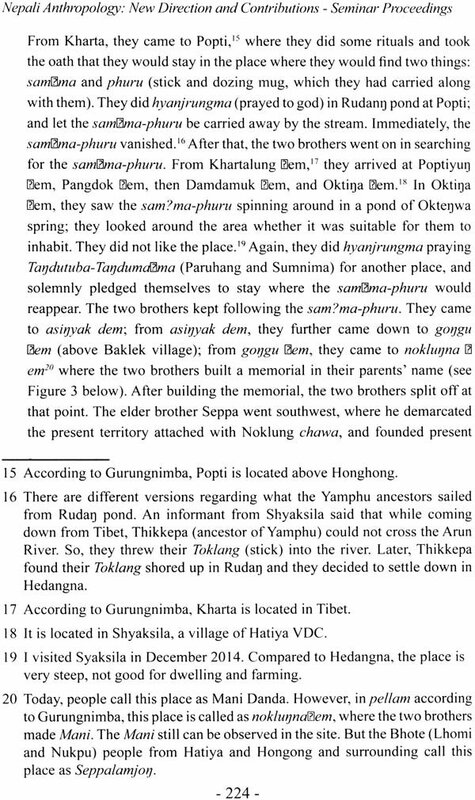 The articles published in this edited volume are amply demonstrative of the brute facts that the galaxy of Nepali anthropologists has been effortful to enrich the discipline in Nepal by using anthropological theories (to the extent possible) as their perspectives in their respective researches with their epistemological assumptions (such as positivism and social constructivism or interpretivism) for the production and co-production of ontological assumptions (such as the domains of objectivism and subjectivism of the socio-cultural realities) through the adoption of their own axiological positions (either characterized by value-neutrality or purposefulness of their researches).Couched in other words, the genuine effort is on the rise to conduct anthropological researches within the ambit of afore-mentioned philosophical trinity of the disciplinary methodology which is gratifying in a way (with the due acknowledgement or admission of the fact that a few pseudo-anthropological works still exist which are neither informed by anthropological theories nor guided by methodological principles). 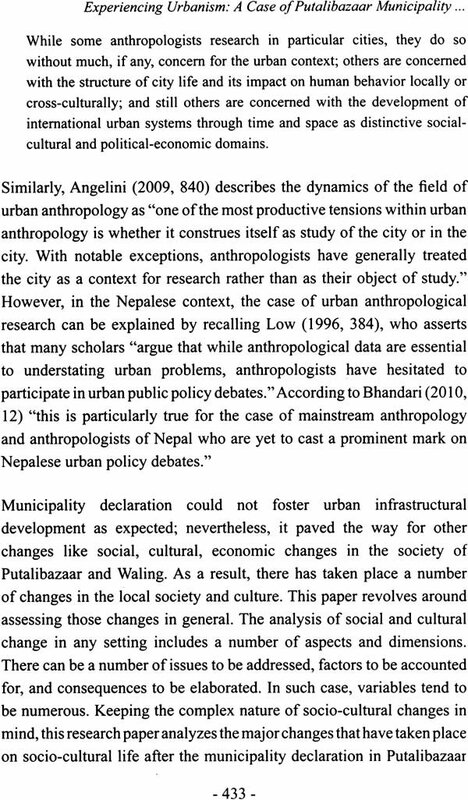 There is the bourgeoning trend discernible among Nepali anthropologists to debunk the apocryphal research works-a trend toward intellectual forthrightness in the domain of anthropological research. Laudable is the growing academic propensity among the younger generation Nepali anthropologists to reflect upon the anthropological literature created hitherto with critical perspectives largely guided by their ratiocination for enriching it with the new contributions by rectifying the lacunae through theoretically-informed and methodologically- guided new empirical researches. In the same way, a growing interest is discernible among them to carry out researches on the virgin sub-fields within the anthropology discipline for carving out "ecological niches", on the one hand and making initial original substantive contributions during its inchoative stage, on the other hand. What is needed for the further disciplinary efflorescence is the patience and perseverance of the anthropological neophytes for carrying out the heoretically-informed and methodologically-guided plethora of anthropological researches on the domains of a panoply of contemporaneous issues of Nepali 'social structure' and 'culture' left intact in this edited volume (subsuming the multiplicity of debates on federalism and political economy of underdevelopment which are not inexplicable anthropologically) which must be guided by the critical theoretical perspectives of anthropology and its sister disciplines. Against this backdrop, the CDA has to be institutionally prepared with its unwavering commitment and firm determination to create social ambience for the native and exogenous anthropologists for their disciplinary interactions and exchanges on the contemporaneous anthropological realities. 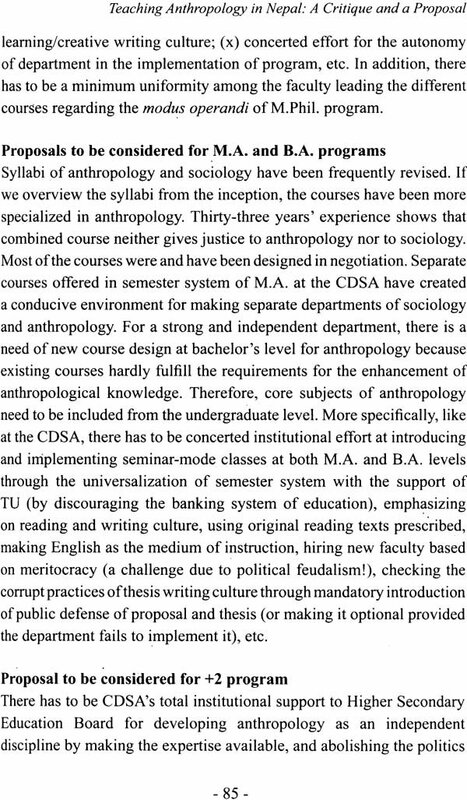 Being agog over this first publication of CDA, I, in the capacity of the Head of the Department, would assure the concerned anthropological community to make optimal effort for materializing this commitment in the days to come. I am immensely sanguine that this edited volume would be a 'milestone' for the future anthropological works in Nepal because of its usefulness for the university teaching, research and application in the development sector. Anthropology in Nepal developed at a time when the discipline was under the sway of Colonial rule in South Asia. The colonial anthropologists, entirely guided by the structural-functional theories and methods, viewed society as a homogenous entity and proclaimed for the primacy of harmonious social relations in South Asia. They collected cultural information from various communities and argued for a social status quo in the society. For these colonial scholars, change was a ubiquitous phenomenon occurring at a slow and gradual pace. 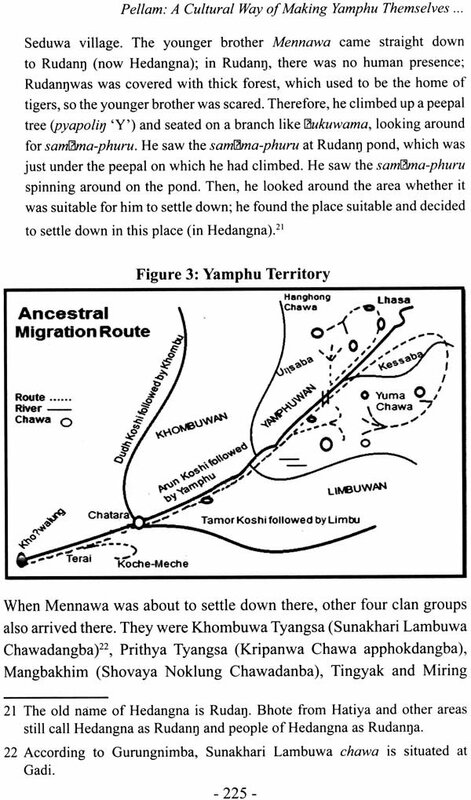 Thus the notion of 'social cohesion' dominated the entire anthropological thinking of the early anthropologists, and Nepal could not remain untou ched from the global phenomenon of colonial anthropology. 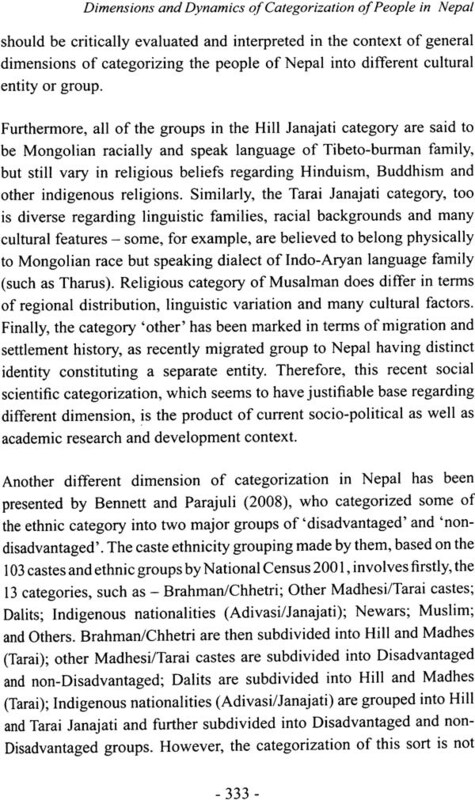 This means Nepali anthropology, in terms of theory and methods, followed the linear pathways that the British colonial anthropologists had already paved for in the South Asian anthropology. 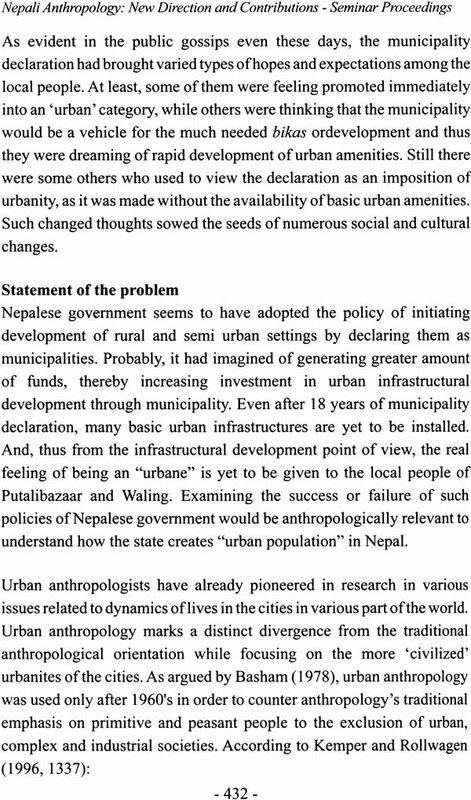 As a result, Nepali anthropology could not develop its own independent theoretical approaches and methodological tools to understand and analyze the culture and society of Nepal from critical historical perspectives. 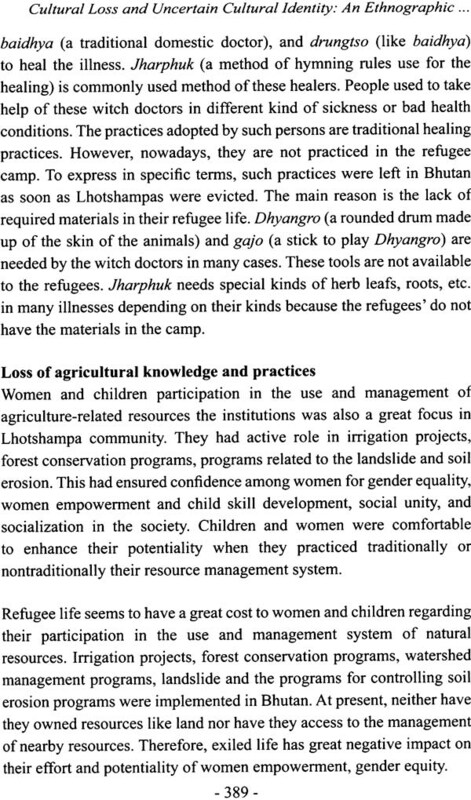 This was not possible due to several reasons, of which the three most important were (1) the paramount influence of British education system in Nepal, (2) the impacts of British anthropologists who worked in Nepal in their various capacities as researchers and mentors during the time of institutional development of anthropology in Nepal, and (3) the basic training and orientation of the British social anthropology to Nepali anthropologists. Over the decades since the early 1970s, Nepali anthropology developed and expanded its fields and sub-fields to a great extent. However, anthropology could not develop as an independent and distinct discipline in its full swing. One of the major limitations of its independent development was the joint operation the two different disciplines - sociology and anthropology - under a combined department until the beginning of 2016. After the reintroduction of semester system in 2014 for the graduate programs (M.A. level) offered at the University Campus of Tribhuvan University in Kirtipur and the establishment of the independent department of anthropology in 2016, the much needed opportunity has opened up for developing the discipline further with integration of four fields of anthropology and introducing many other subfields for specialization. 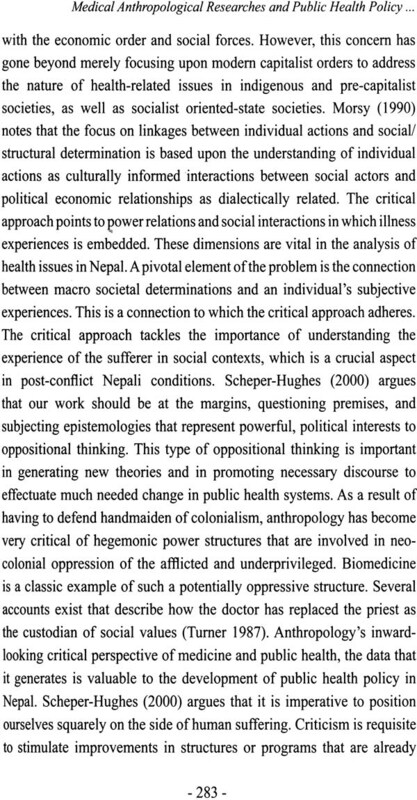 But we still need to enhance the theoretical and methodological rigorousness and widen the applied aspects of anthropological knowledge in order to establish Nepali anthropology as a uniquely distinct social science in the context of Nepal. It was at this critical juncture that the Central Department of Anthropology organized the First Annual National Seminar from February 20-22, 2015, with an objective to bring anthropologists working in epal together to discuss the new direction of Nepali anthropology and its contributions to the development of Nepal and Nepali societies. This first annual seminar was of special importance to Nepali anthropology in many ways. Firstly, the seminar was organized on the eve of the establishment of an independent department of anthropology at Tribhuvan University. Secondly, the seminary brought more than 100 anthropologists together at a common academic forum that provided them with an opportunity to reflect on the trajectory of anthropology Nepal. They discussed and shared collectively the future research directions in anthropology so as to develop Nepali anthropology that is always informed by the global developments in the discipline and shaped by local needs of the nation. Finally, it was important because for the first time a national seminar of this scale was organized mostly with the department's own resources. Usually, managing funding for such academic seminar is a huge challenge for academic institutions of the Tribhuvan University. Despite such challenges, I was able to manage the department funds to organize the seminar as well as to publish the proceedings of the seminar. I am really proud of it. Altogether 33 very interesting and important academic papers on various themes were presented in the seminar. However, many paper writers were not able to revise and submit their papers on time. So, only 17 papers have been published in this volume. I like to thank all the authors of the papers published in this volume. I like to thank the editorial team members - Binod Pokharel, Janak Rai and Mukta S. Lama Tamang- who worked very hard to put various thematic papers together in the form of this proceeding. 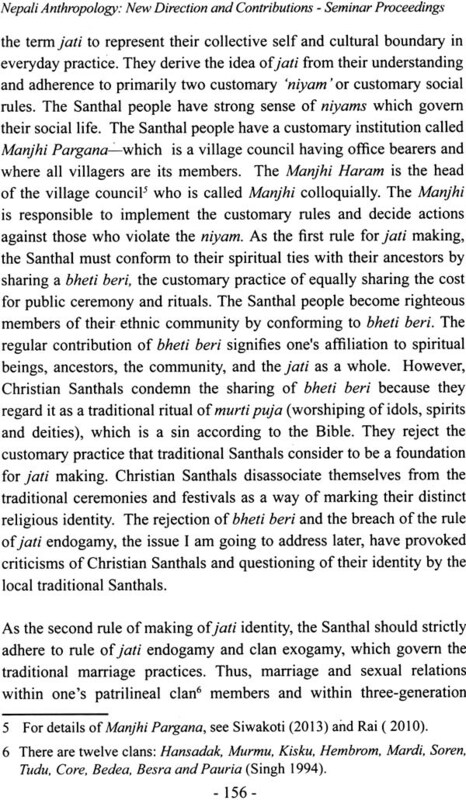 Thanks to Nabin Rawal and Mahesh Raj Maharjan for editing the language of this volume. I would also like to thanks peer reviewers of the papers. The department administrative staff Ms. Sumitra Thapa and Ganga Shris deserve special thanks for managing the finance and logistics for the seminar. We appreciate the support we received from the Cornell Nepal Study Program (CNSP) and WINDOW program of higher education for the seminar. Finally, I would like to thank all my department colleagues and students for their active participation and unconditional support to the department for making the seminar a grand success. Nepali Anthropology today is in cross-road, if not in crisis. It has now reached a turning point where it needs to think: critically and practically for future pathways based on its past successes and failures. In the rapidly changing national and international contexts, Nepali anthropology requires now to prove once again that it is locally relevant and can engage meaningfully in conversation with anthropological community at large. 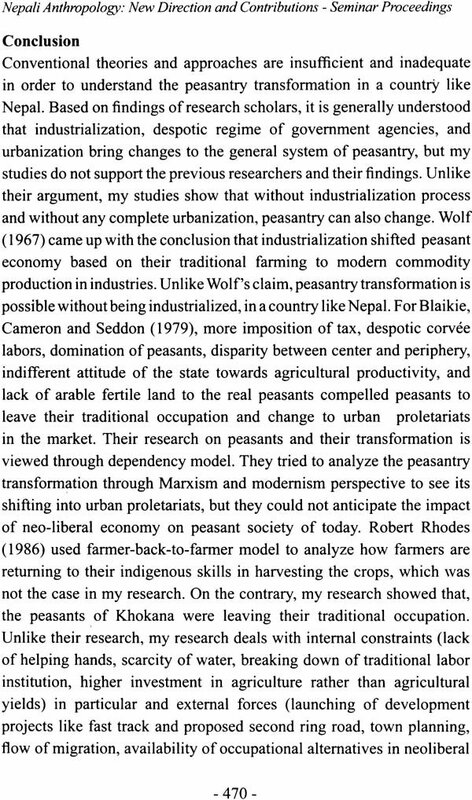 For this, Nepali anthropology should take up the emerging issues in its research agenda and think seriously about integrating its teaching with empirical research. There is a need that anthropologists in Nepal sharpen their focus and expertise and demonstrate their commitment to quality scholarship. The time has demanded that Nepali anthropology build its own distinctive identity as a discipline which champions the study of human universality and at the same time safeguards the cultural diversity in a better way. The deliberations and contributions in this volume clearly argue that renewed and reinvigorated anthropology in Nepal is possible. Nepali anthropology, referred in this volume, simply is a body of work by anthropologists in and from Nepal who are a part of larger community of anthropologists internationally engaged in a rich array of works on Nepal and the Himalaya. The papers included in this volume were read in a national seminar on "Nepali Anthropology: New Direction and Contributions" organized by Central Department of Sociology/Anthropology at Tribhuvan University during 20-22 February 2015, Kathmandu. The seminar was an important juncture that brought anthropologists together to reflect on the trajectories of Nepali anthropology. The seminar was held in the eve of the formation of independent departments of anthropology and sociology after 34 years of operation as a joint department. The objective of the seminar was to offer anthropologists space for reflections on the discipline's past and collective deliberation on the new direction that it should embark. The gathering was also a point where ongoing research on various contemporary themes could be shared and discussed. The conversation among over 100 Nepali anthropologists engaged in different professions within Nepal was thus focused on examining their past achievements and inadequacies, and seeking space for autonomous existence for specialized contributions within a wider interdisciplinary academic environment. The papers presented in this volume, then, are a selection of writings which examine some of the current dynamics observed in development of anthropology in Nepal along some interesting work on pertinent themes taken up by the anthropologists in Nepal. The first part of the volume consists of papers that attempt to review past performance of the discipline and chart out future directions of anthropology in Nepal by focusing on history, evolution, teaching and research, and future directions. The second part on the other hand presents papers on various themes. 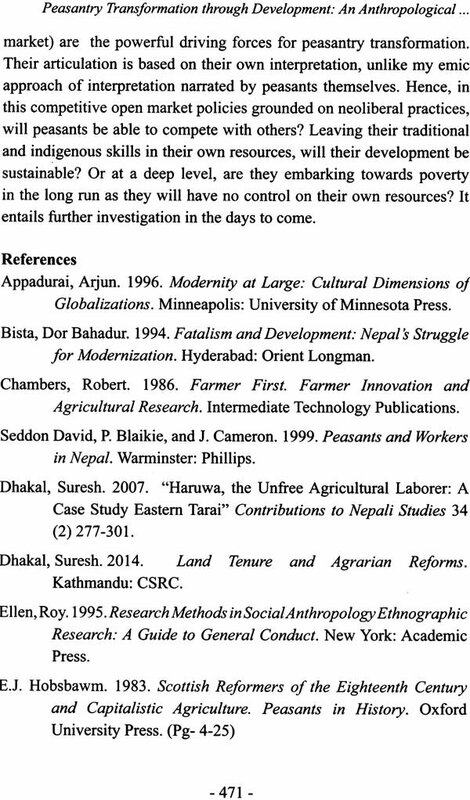 The research papers included deal with a wide range of issues observed and studied from different parts of Nepal in the last decade. The papers, based on the central tendencies, have been categories into broad five groups in this volume. The categories range from identity, ethnicity, and social movement, health and medical anthropology, religion and conversions, territoriality and borders, to urbanism, land, and peasantry. The first part, which deals with reflections on the discipline of anthropology, includes four major papers. The first paper by Dilli R. Dahal is an attempt to trace the history and growth of socio-cultural anthropology in Nepal over the last two hundred years or so and its reassessment in the context of anthropological theories and methods. 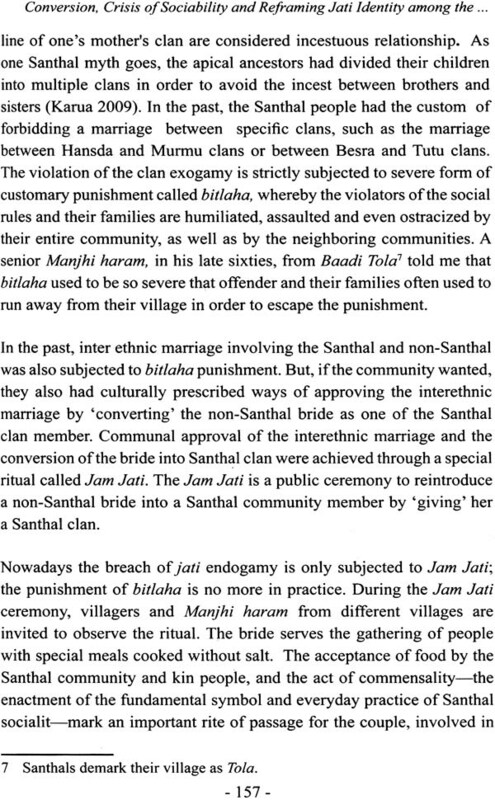 Dahal notes that anthropological beginning may be projected back as early as two centuries when European scholars started to study and write about Nepali society and culture. The paper provides a broad overview of the works and their contents from 19th century works of Hamilton and Brian Hodgson to the most recent works by young scholars. 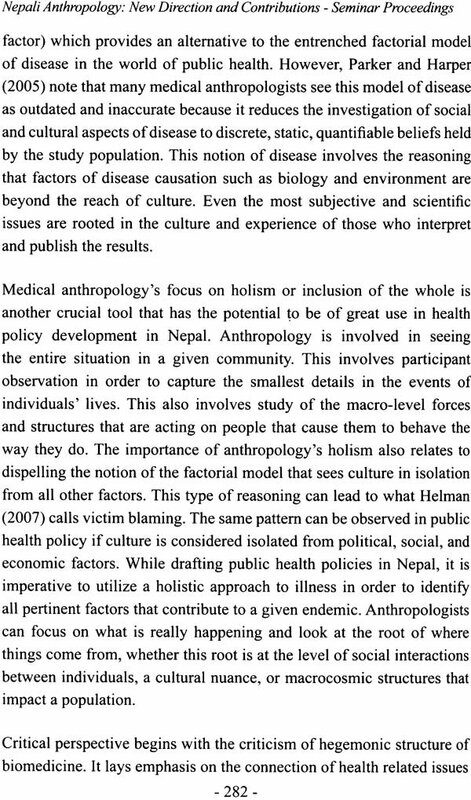 Dahal argues that the scope of anthropology has widened over the years, covering many subfields of anthropology. Though there are some overlaps in the scope of anthropology and sociology in Nepal till today, the paper clearly notes that anthropology is a very different discipline than sociology in the context of its origin, contents and methods. 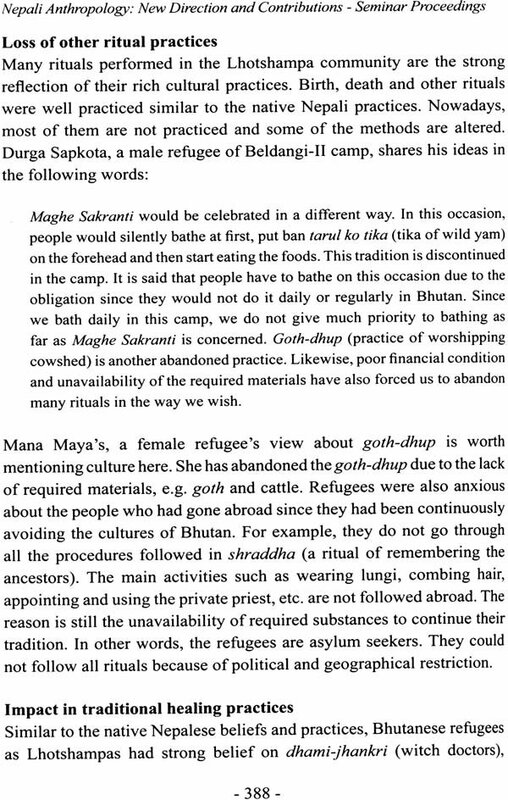 By highlighting the contours of the growth and development of anthropology by Nepali anthropologists through research and teaching, Dahal's paper shows that anthropology in the form of ethnography is not a new phenomenon in Nepal. Plenty of literature is available today in anthropology for further research and teaching. Dahal notes that most of the anthropological contributions are rich in their contents, theories and methods. 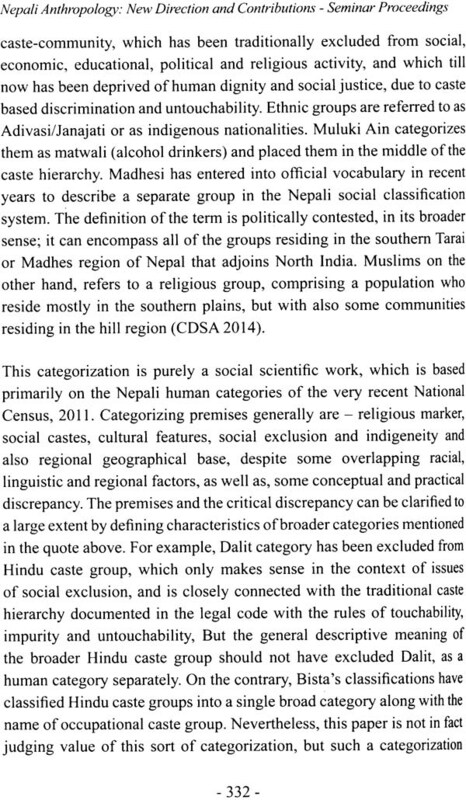 There are, however, also several gaps that indicate that question of 'human Subjects' is overlooked in most of the cases of anthropological research in Nepal till date. The second paper by Laya P. Uprety and Binod Pokharel "Teaching Anthropology in Nepal: A Critique and a Proposal," as the title suggests, offers a comprehensive overview of the teaching, assesses its pitfalls and suggests ways for improvising the teaching for further effectiveness. 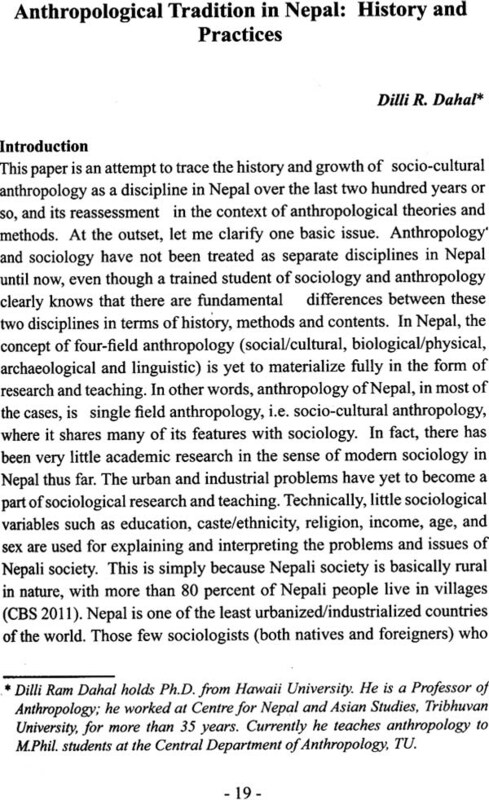 In other words, this paper answers three major questions related with teaching of anthropology in Nepal. The first is, what was the status of teaching in the past? Second, what is the current status of teaching? And finally how to take it forward in the days to come? The range of issues covered by the paper is wide. For example, it discusses the curriculum and recommended texts and readings, teaching methods, institutional infrastructure and process as well culture of teaching and learning itself. 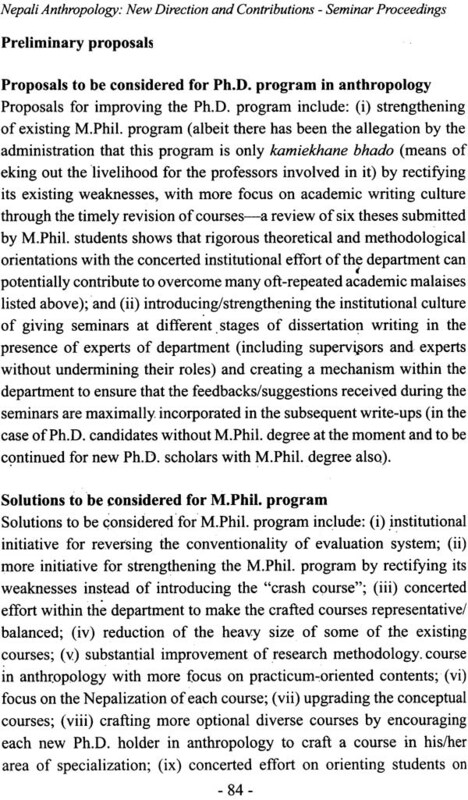 The paper offers current state of the teaching, identifies the gaps and offers recommendation for improvements at all levels beginning with grade 11 level to Ph.D.